Your day-by-day itinerary now includes Topography of Terror as well as LEGOLAND Discovery Centre Berlin. 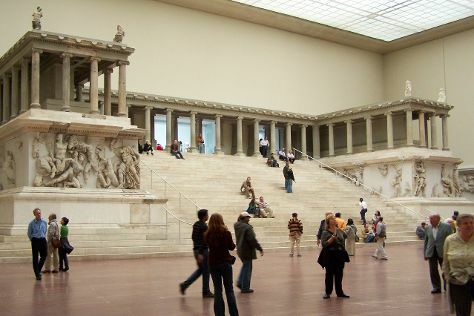 Start off your visit on the 6th (Sat): see the interesting displays at Pergamonmuseum, then find something for the whole family at LEGOLAND Discovery Centre Berlin, and then examine the collection at Topography of Terror. To see other places to visit, ratings, traveler tips, and other tourist information, you can read our Berlin custom trip planner. The Route module can give you travel options from your home to Berlin. In August in Berlin, expect temperatures between 28°C during the day and 17°C at night.